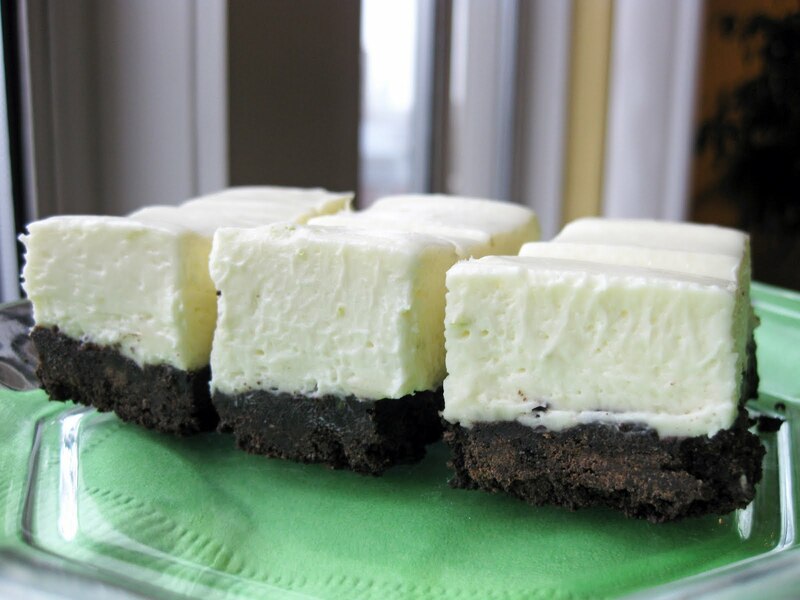 These key lime cheesecake bars have a delicious, thick Oreo crust. Have you ever wondered what to bring to a potluck, group picnic, or gathering? Problem solved: Easy Key Lime Bars to the rescue. Just make sure to bring some copies of the recipe - because people will ask for it. My friend brought these in to work, and his coworkers are still talking about them a month later. This is a perfect no bake dessert for most casual events, and it's quick and easy to make: it takes about 30 minutes, not counting time in the refrigerator. One warning: the bottom can be a bit crumbly (see photo below). This makes it hard to get these prepped for presentation at a fancy event, but is definitely not a problem among friends! 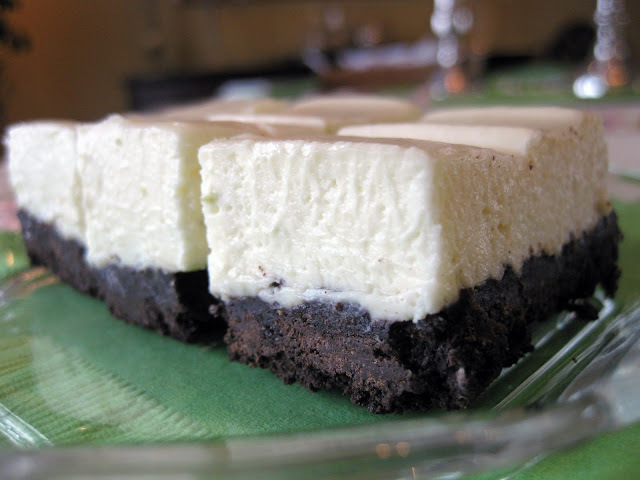 A white chocolate and lime cheesecake batter forms the white part of the bars. The layer of key lime cheesecake batter includes cream cheese, sugar, melted white chocolate. Freshly whipped cream keeps it from feeling too dense. Fresh lime juice and zest pack a lot of flavor and a little color. The Oreo crust is thick and delectable. 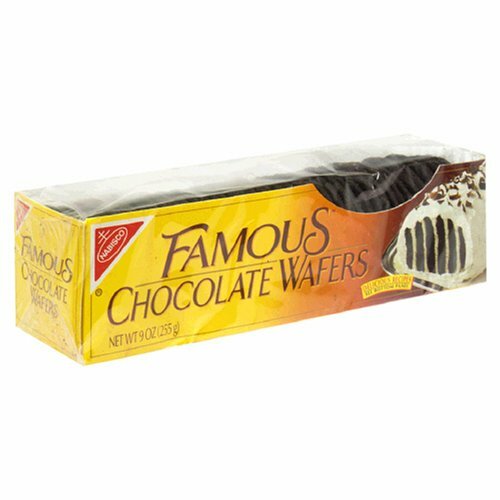 It's made from crushed chocolate wafer/sandwich cookies that are held together with butter and melted white chocolate. 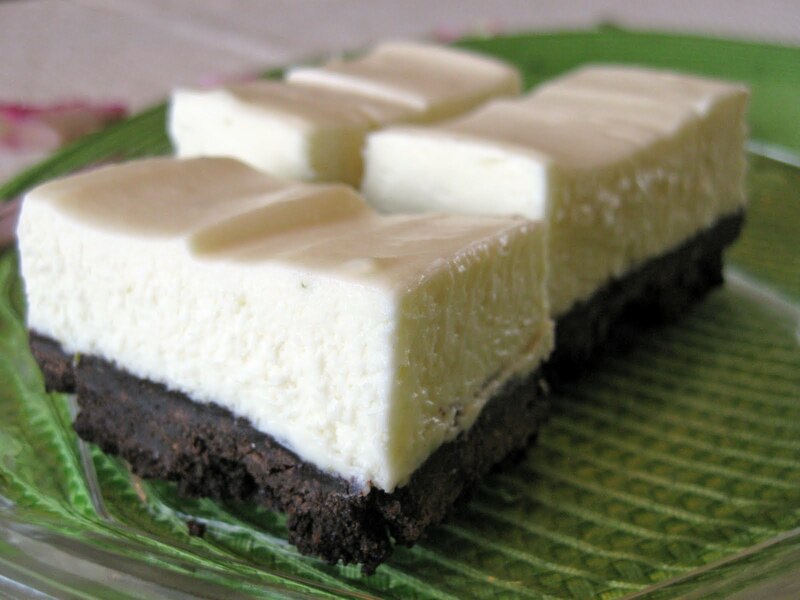 You can see some flecks of key lime zest in these white chocolate cheesecake bars. Using half of the white chocolate called for is okay: The cheesecake calls for melted white chocolate. White chocolate is expensive. I've made this recipe exactly as Epicurious details, and it has turned out great, but I've also halved the white chocolate called for in order to save a few dollars when making multiple batches, and they still turned out wonderfully. Add butter to the crust: The Epicurious crust recipe calls for a few tablespoons of white chocolate to cement the cookie crumbs. I've made the crust according to the recipe in the past, but I've also added a little melted butter to help the crumbs stick together and to try to avoid the crumbliness the crust can sometimes have. Both ways have worked well, and while adding a little butter helps, it doesn't completely solve the problem. In the key lime bars pictured, I used a a few tablespoons of extra butter for the crust and a little bit of melted white chocolate, and you can see there are still some crumbs breaking off. Oreos vs Chocolate Wafers: The crust recipe calls for chocolate sandwich cookies. I used Nabisco Famous Chocolate Wafers (click here for an image of the box), but an Oreo-type cookie works just as well. Sometimes, stores even carry Oreo cookie crumbs, pre-crushed in a box, for the specific purpose of making Oreo crumb crusts! On the other hand, if you crush fresh Oreo cookies and leave their white interiors in the crumbs, it will help the crust bind together. Do not delay! These no bake key lime bars will make you (or your family/friends) happy. OMG! These look SOOOOOOO Delicious! I'm going to have to make these sometime soon!! !